Pest Killer’s UK Pest Control London is one of the Leading Pest control companies in London. We provide the best Pest Control services in the industry and give you value for money. Pest Killer’s UK don’t just give you value for money, we give Pest prevention advice. 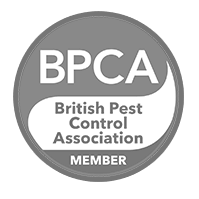 Our Exterminators are fully qualified under the BPCA code of practise and are CRB checked. ​Pest Killer’s UK Pest Control provide pest control services for Bedbugs, cockroaches, mice, rats, spiders, ants and other insects. Please check out our Residential and Commercial Pest Control services to see a full list of services we offer. If you are unsure if we can help you with your pest problem, call our Pest Control office or send us an email. Our friendly professional staff will be happy to assist you and will contact you within 24 hours. Our Pest Control will fully inspect your property and explain the level of your infestation. Our Pest Control use advanced pest control solutions to eliminate every last pest present in your property. Pest Killer’s UK Pest Control are at your service 24/7 and can provide you a same day service. So don’t let your comfort and hygiene standards be ruined. Pests Killers UK Pest Control are just a call away. Pest Killer’s UK Pest Control offers an Emergency Pest Control service. Please call our office for more information on waiting times, if you need emergency pest control. Our Pest Control have worked with thousands of households and commercial clients such as Tesco, Lidl, Asda, McDonalds and Premier Inn. If you require pest control, Pest Killers Pest Control is the company you can trust. We provide the highest level of customer care and the excellent value that you might expect from a small company, as well as the reliability and quick response of a large company. With this level of service, it’s no wonder that we’re one of the most trusted pest control businesses in the London. 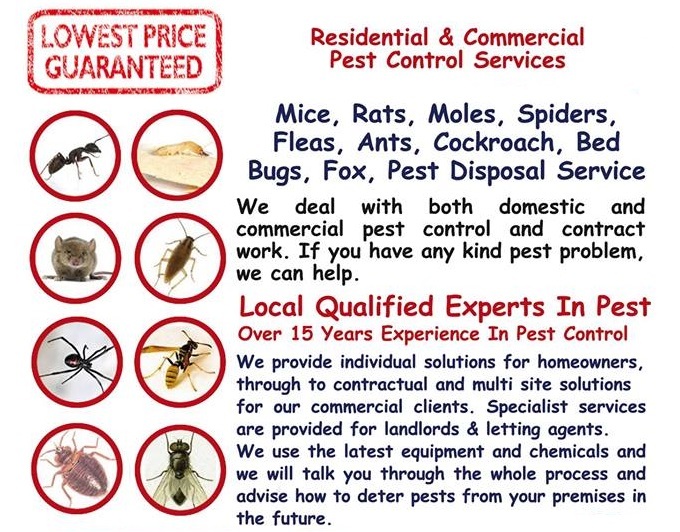 Pest Killer’s UK Pest Control always offer the best prices, we do not charge VAT and our prices stay the same, If you follow Pest Killer’s UK Pest Control on Twitter and check out our Facebook Page you can see updates and discounted offers from Pest Killer’s UK Pest Control when they are available. Pest Killer’s UK Pest Control do not want you to feel ashamed of your Pest or worried about what your neighbours or customer’s will think, so we do not drive company vans with big letters stating Pest Control. Our Pest Controllers are fully trained, experienced, qualified Pest Controllers. Implementing the safest Pest Control techniques using environmental friendly non- harmful Pest Control substances. Guaranteed high standard Pest Control services and customer satisfaction. Pest Killer’s UK Pest Control can also arrange special discounts for Landlord and Estate agent’s. Call for a free customized quote our staff will be able to gather information and give appropriate advice and possible treatment options available. No hidden charges – Our rates are fixed, competitive, and you don’t pay for your engineer’s parking or congestion charge. Same day call outs available. Pest Killers UK Pest Control technicians are trained to safely dispose of dead animals and possible pest infestations which accompany them. Pest Killer’s UK Pest Control services provide excellent after sales care and preventive advice, so the same problem does not occur again, giving customers peace of mind. If you need help with a pest problem call Pest Killer’s UK Pest Control, as soon as possible and explain your situation.– then we will send fully equipped trained pest controller out to you to eradicate your pest problems. East London, North London, West London, Central London, South London, Goodmayes, Seven Kings, Stratford, London, Romford, Ilford, Barking,West Ham, Newham, Plaistow, East Ham, Hackney, Croydon,Enfield, Watford, South Woodford, Chadwell Heath, Dagenham, Gants Hill, Upton Park, Barkingside, Newbury Park, Tower hamlets and all surrounding areas click here to see areas covered. For the leading pest control services in the UK, by qualified RSPH technicians, call Pest Killers UK Pest Control now. If you would like one of our knowledgeable and friendly staff to contact you, please use our contact form. Our staff will get back to you as soon as possible.